Acupuncture for infertility has been around the western world for quite a while now. This has come off the back of the success people have seen in using this form of treatment for things such weight-loss, smoking cessation and preventing migraines. There is no doubting that in targeting infertility, acupuncture has quickly gained in popularity as one of the top natural fertility treatments. And this is whilst western forms of infertility treatment have become too expensive, can be painful, and their reliability questioned. I have witnessed the stress that moms have gone through with some of the western medicines that are available now and, unfortunately, in many cases the stress brought about can actually do more harm than good. Acupuncture for infertility has been proven to assist many moms in getting pregnant, even after years of failing to conceive. It’s true that western medicine cannot actually identify why it works, but there is little doubt that it does help. Acupuncture was devised by the Chinese thousands of years ago. And the thought behind this form of traditional Chinese medicine, is that it focuses on blockages in Chi (the body’s natural energy flow). The procedure itself involves very thin needles being inserted into specific parts of the body (see video below). The body’s own natural meridians are used to identify where the needles are placed. There are in excess of 2000 potential insertion points. As we know, traditional western medicines attempt to treat whatever area of the body is causing the problem. However, the idea behind any acupuncture treatment is that it takes a holistic approach. In other words, it takes a wider view of health issues by focusing on the connected areas of the body, and not just the obvious issue. The understanding is that problems actually start from different parts of the body and ‘flow’ themselves to a resting (or blocking) point. Each treatment is designed with the individual in mind and much will depend on the ailment or disease that the patient has. Some people, still sceptical of its success rate, choose to use acupuncture, as an alternative medicine, alongside western infertility treatments. Does acupuncture for fertility work ? Can acupuncture help fertility ? Are there any acupuncture for infertility success stories ? How does acupuncture for fertility work ? Here’s a short news clip from First Coast News about how it helped one young mom, which will answer the first three questions. As you can see from the clip, even the fertility doctor had to acknowledge that there are benefits to using acupuncture (and western medicine doctors tend to shun traditional methods of treatment). So far, so good….. but how does acupuncture work for infertility cases ? The idea is to promote hormonal balance and help the eggs to develop. As mentioned above, a holistic approach is taken and needles are not just stabbed into the reproductive region (far from it). In fact, regulation of the hormones is undertaken by the pituitary gland, and this is based in the brain. However, the needles are inserted along the meridians, in other parts of the body. The issues of Endometriosis and Polycystic Ovarian Syndrome have been discussed elsewhere on this site. 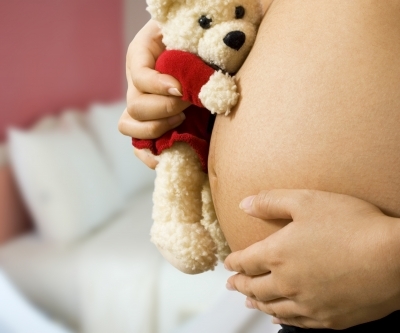 Acupuncture fertility treatments can help to promote the flow of blood to the womb lining. By increasing blood flow to the womb, the uterine lining grows healthier and therefore Endometriosis and PCOS are less likely to occur. Acupuncture works with IVF treatments and, in fact, many fertility specialists suggest acupuncture treatment to compliment IVF. Unfortunately, some of the better known western treatments can be stressful and one of the key outcomes of acupuncture is stress reduction. Finally, it is reported that acupuncture can actually help cleanse the body after having experienced western treatments and medicines. If you would like to hear more about alternative treatments, then I highly recommend The Pregnancy Success Program, by Diana Farrell. I have completed a full review of this program here : Pregnancy Success review. I hope that you’ve found this article on acupuncture for infertility. If you did, then please let your friends know about it via the social media buttons below. Also, if you’d like to read more from the author of acupuncture for infertility, then please sign up for my email notifications (using the box on the right).